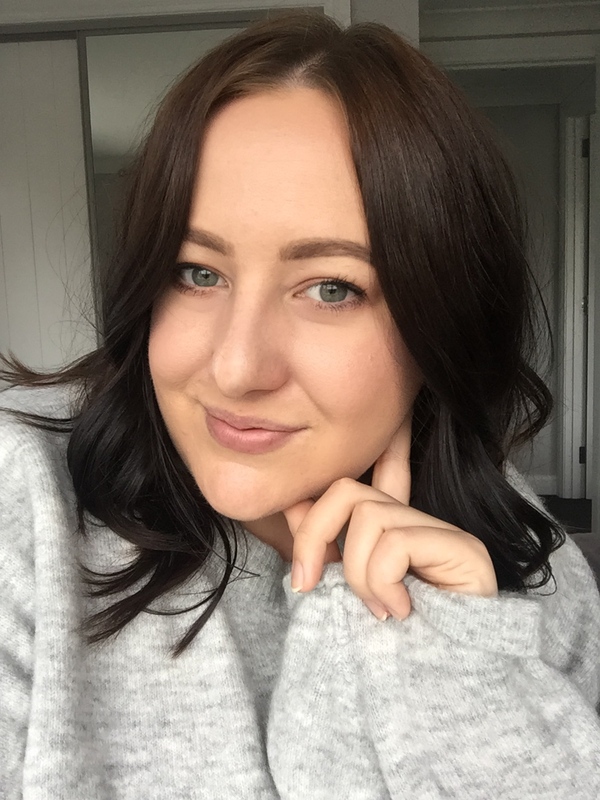 Bronzers for me are makeup staples, not a day goes by when I don't dust a bit of bronzey goodness onto my face and bring a bit of colour back to my skin after foundation. I think there are some brilliant ones out there on the market, so here are my top five picks, and hopefully one that will suit everyone's budget. These are in no particular order because I like them all equally (well, almost), but any of them will do the job perfectly well. When I'm travelling this is one I always take along with me; it's compact, works really well and also comes with a gorgeous highlighting powder. This is the darkest from the picks and is totally matte (as are all the others). It packs quite a bit of pigment so you do only need a light hand with it. It works great to contour as well. As you can probably tell, this is extremely well loved and it is probably the one I reach for the most. It just works so well and the colour is perfect; it's not too orangey, but still gives a nice natural tan to the skin and it blends out well. Plus it's the cheapest one from the lot! Out of the five, this one is the very lightest shade, but it is actually the darkest of the three that The Body Shop offers in the Honey Bronzer range. I find this doesn't pack as much bronze as I would like especially in the Summer, but for when I'm a bit paler, this works a treat. The powder itself is lightweight and buildable, and the packaging is gorgeous too (I love the honeycomb imprint). I only have a mini sample size of this bronzer, but I've used it a lot and still haven't hit pan on it. This wins the award for the best smelling one (it really does smell like chocolate), but it also makes a great matte bronzer. It's a touch browner toned than the NYC so you can get a good contour with it. 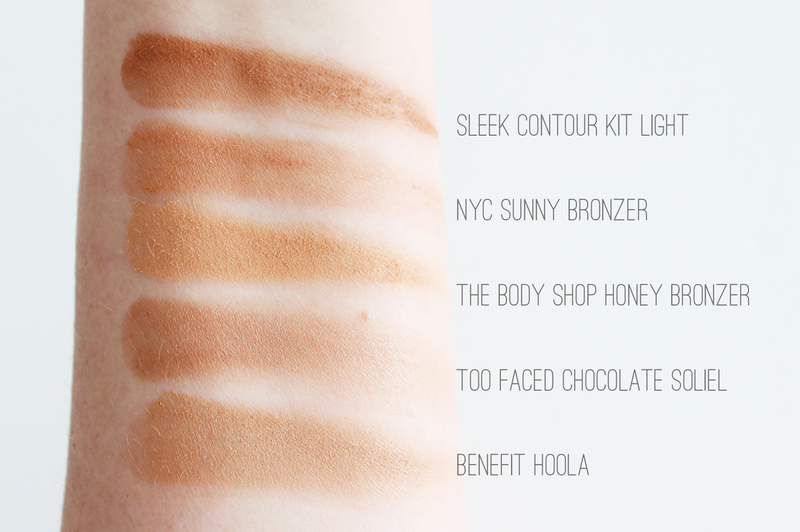 Hoola is definitely a very famous bronzer in the beauty world and I'm not surprised. For lighter skinned gals this one is a great option, it's completely matte, blends onto the skin easily and gives a natural looking colour to the skin. 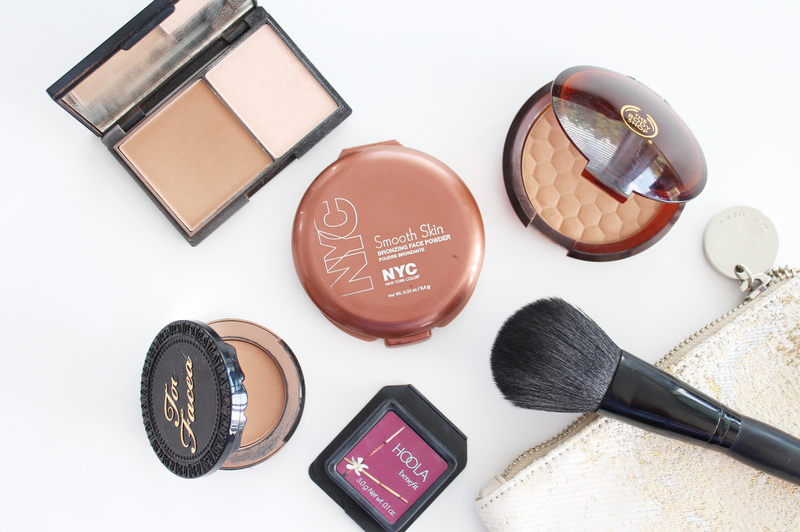 So there's my round up of five bronzers that I think are absolutely stellar. The one I think that you should all try out is the totally inexpensive NYC Smooth Skin Bronzing Powder, but the choice is yours! What is your favourite bronzer? Have you used any of my Top Five?